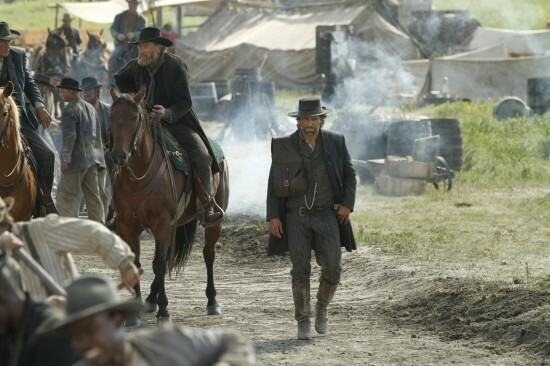 AMC Network Takes On The Wild West With “Hell On Wheels”!!! AMC Network is becoming one of the leading networks for original programming. I mean they are competing on a level with HBO and Showtime. They have Mad Men, Zombies, Drugs and Crime, and now they will set their sites on the Wild West with their new show “Hell On Wheels” according to Vulture. The show will follow a confederate veteran shortly after the end of the Civil War who journeys west to work on the Transcontinental Railroad and to seek revenge on the union soldier who killed his family. Colm Meaney, Common, and Anson Mount will star in the series. Below is the trailer for the show. It’s looking good. I wonder if it will be as good as Deadwood? Watch ‘The Walking Dead’ Season 2 Trailer Now!!!! This entry was posted on Tuesday, May 3rd, 2011 at 9:39 pm	and is filed under Film, News. You can follow any responses to this entry through the RSS 2.0 feed. You can skip to the end and leave a response. Pinging is currently not allowed.